Vinery stallions head into the Australia Day holiday on the back of richly-deserved awards in Europe, USA and Singapore this week. More Than Ready collected more silverware thanks to his two-time Breeders’ Cup Sprint Gr.1 winner Roy H. who is being set for the Dubai Golden Shaheen Gr.1 in March. On Wednesday, at the Longines World’s Best Racehorses ceremony in London, Roy H was officially acknowledged as the world’s best sprinter with a rating of 124. 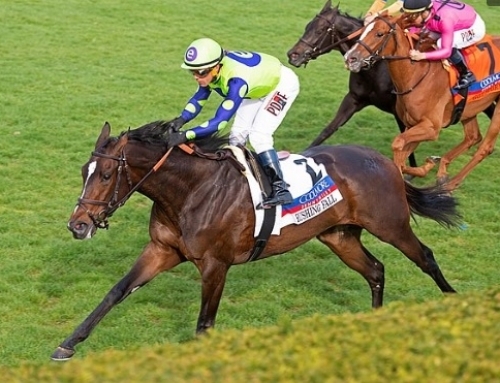 He followed up with a second USA Eclipse Award in Florida on Thursday. 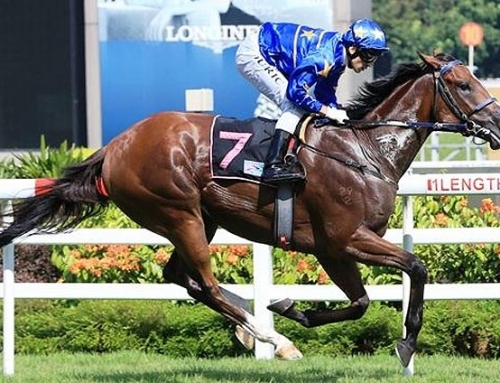 On Monday evening, Casino Prince speed-machine Lim’s Cruiser was voted Singapore’s Champion Sprinter for the second consecutive year. 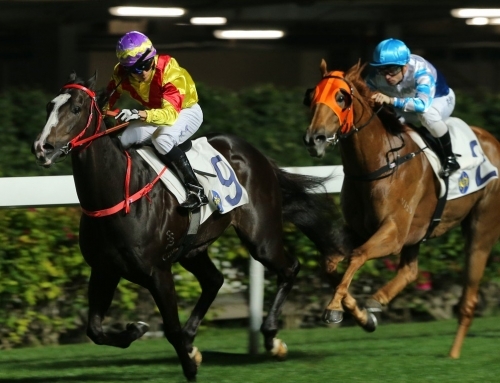 The clincher was a successful defence of the Lion City Cup Gr.1 in April. All eyes will be on All Too Hard’s exciting 2yo Alligator Blood at the Sunshine Coast on Saturday when he goes on trial for a trip to Sydney. 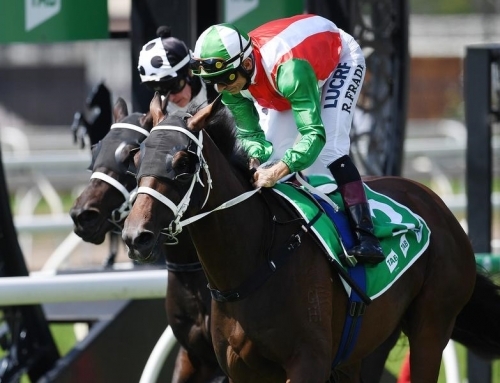 His debut win last month, albeit against inferior company, signaled a very bright future and trainer David Vandyke will act on a Group 1 nomination for the Golden Slipper if he wins the $125,000 Coastline BMW Classic Plate (1200m). 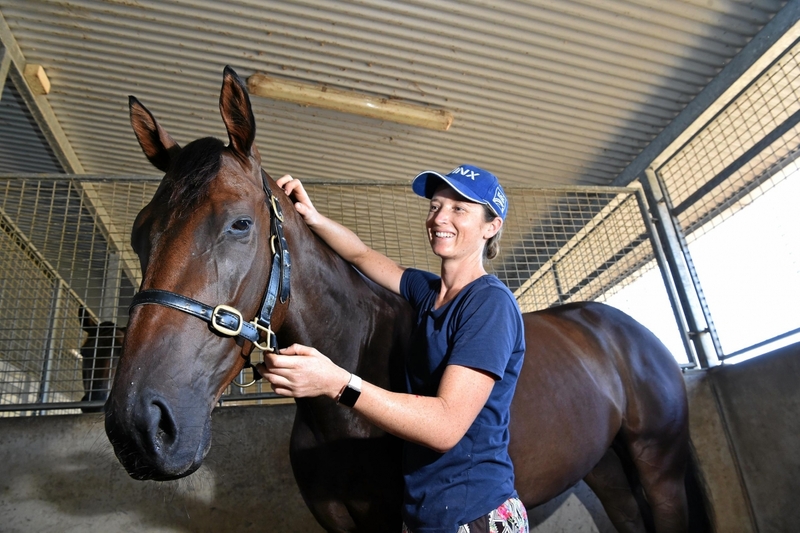 Picture: Foreperson & partner at Vandyke Racing, Emma Lehmann, prepares Alligator Blood for the big race meeting at Corbould Park on Saturday. “He’s a really nice horse and I think he will eventually get 1600m,” Vandyke said. 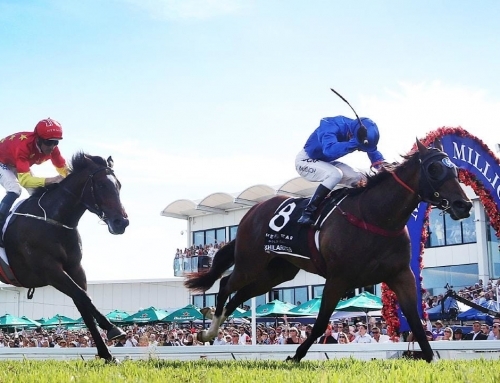 “If he wins on Saturday, the prizemoney would be a good basis to head south. “He’s come along well since exceeding my expectations first-up. I would have been happy if he just poked to the line but I changed my assessment the way he stormed home to win. 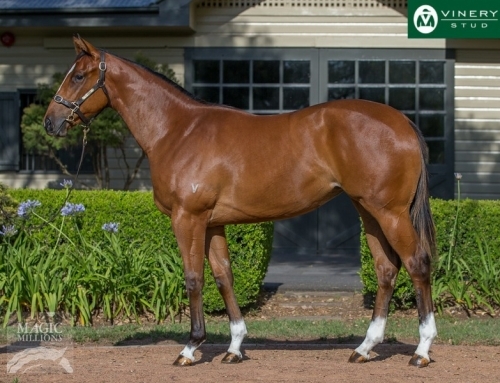 Harvey also bred and sold Alligator Blood for $55,000 at the 2018 Magic Millions as part of the consignment from Baramul Stud. He hails from the extended family of Australian Horse of the Year Typhoon Tracy. 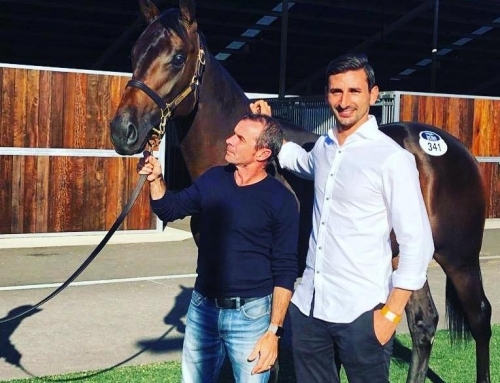 In the lead-up to the Karaka Sale, Kiwi trainer Michael Pitman announced he has an international campaign in mind for Testa Rossa sprinter Enzo’s Lad. Last Saturday’s Telegraph Hcp Gr.1 winner is being considered for a start in the Chairman’s Sprint Prize Gr.1 at Sha Tin on April 28. 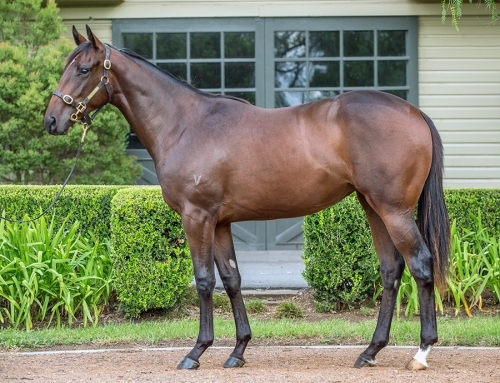 More Than Ready has three colts and a filly at Karaka. The colt from Ponte Piccolo (Lot 312) will appeal to off-shore buyers being a half-brother to Hong Kong Horse of the Year Able Friend. Last-start Matamata winner Spring Heat can continue to improve her career stats in the Concorde Hcp Gr.3 at Ellerslie on Saturday. She arrived on the black-type stage last season winning the Bonecrusher Stakes Gr.3 at the Auckland venue enabling the Vinery legend to draw level with Mr Prospector on 178 individual stakes winners. More Than Ready is currently on 190 stakes winners and he will edge closer to Danzig (198) if Title Ready prevails in the Jazil Stakes LR at Aqueduct on Saturday. A Keeneland juvenile winner in October, he has opened at 4-1 on the morning line for champion trainer Steve Asmussen and will benefit if a contested pace plays against even-money favourite Sunny Ridge.